Successfully Added Red LED Wrist Watch - Black Strap, Touch Screen, Time + Date to your Shopping Cart. Black Strap and Red LED Wrist Watch with touch screen controllability and also able to display the time and date. Step out onto the cat walk with this cool and modern wrist accessory. 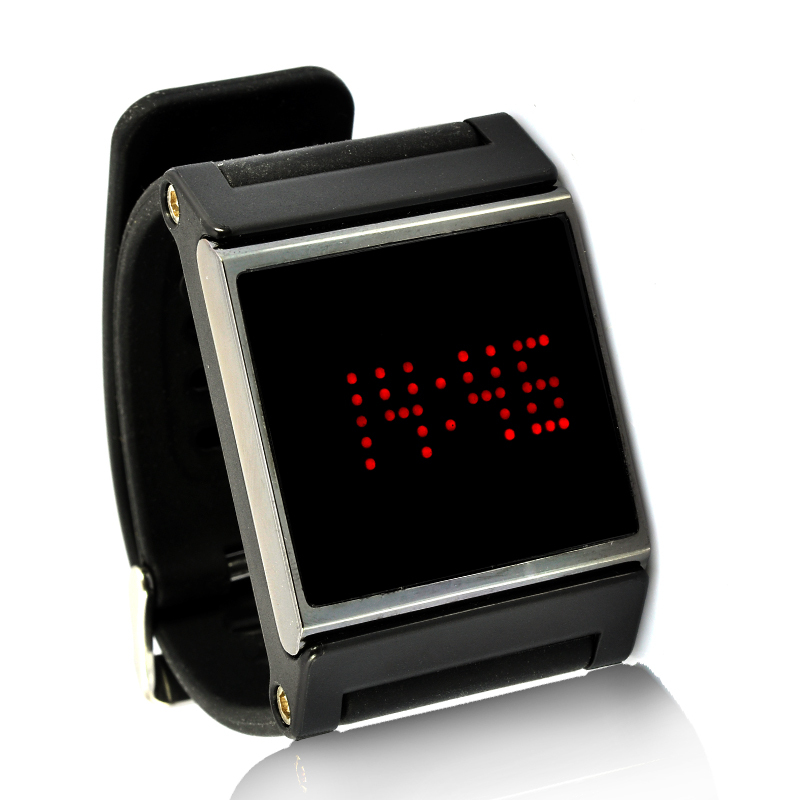 Its style is a black rubber strap with a retro red LED display that can be altered via a touch of a finger. Interesting features about this watch is that not only can the date and time be adjusted via the touch screen but also the watch unit can be detached from the rubber strap. In its place you can attach an iPod nano 6 into the strap to create a fresh way to transport your iPod nano 6. The strap itself is simple but modern; having 14 holes it can fit most individuals and has a claps to ensure it says on as well as a buckle lock. Be cool with this retro display looking LED digital touch screen watch at a great wholesale offer. This product is in stock and can be dispatched within 24 hours of ordering with a 12 month warranty. Brought to you by the leaders in wholesale electronics and LED watches, Chinavasion. The battery in this watch is built-in. 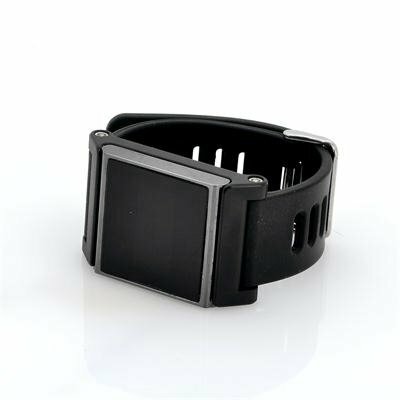 The strap is also able to support the iPod nano 6, once the original watch has been detached from the strap. Instructions in the menu not very clear. nice and simple to set up. easy to read watch. Good quality and fast delivery to Colombia in tolal 17 days.